true Do you have a project in mind? 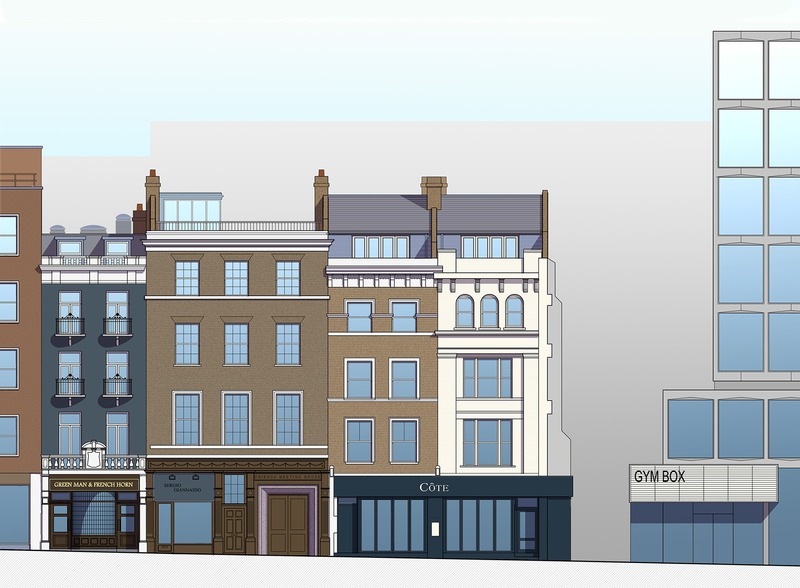 E2 have completed and submitted the application for the conversion of three heritage buildings on St Martin’s Lane in the Covent Garden conservation area. The properties including a grade 2* listed building are all retail on ground and a mixture of office, commercial and residential above. Dating from late Georgian and Victorian eras the buildings have been altered and extended to an incongruous mish mash over the centuries. E2 have crafted a scheme that consolidates the buildings and reinstates their original residential above shop arrangement to create 8 flats and maisonettes of varying sizes. Almost all units have outside space and the elevations will be greatly improved following a full restoration and refurbishment. The application is due to go to committee very soon. For more details, click on the image above.